The brief was to provide a ‘shop window’ for Liverpool Hope University College – an interactive prospectus to profile the colleges facilities and activities, and highlight a suburban based institution within the city. 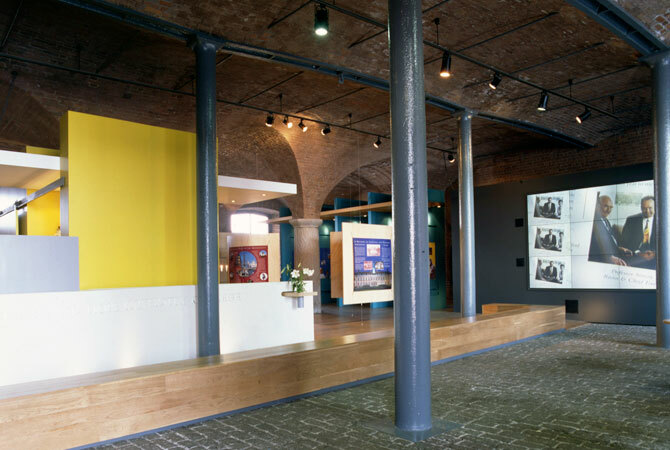 Situated in the Grade I Listed Albert dock, the college wanted to maximise their visibility and to create an environment where people would feel comfortable to browse, have a cup of coffee and learn something about Hope. 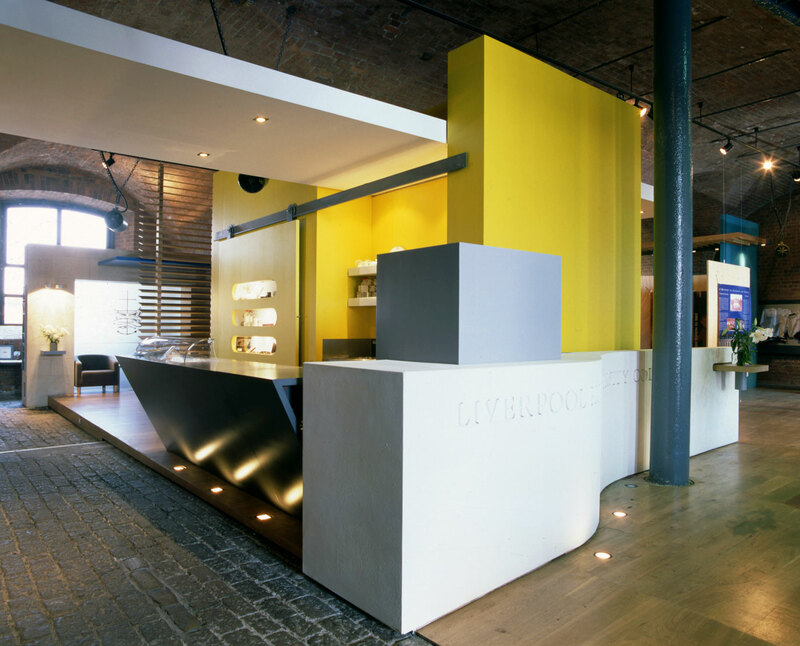 As well as incorporating static and interactive displays, it offers space for an eccumenial access centre. 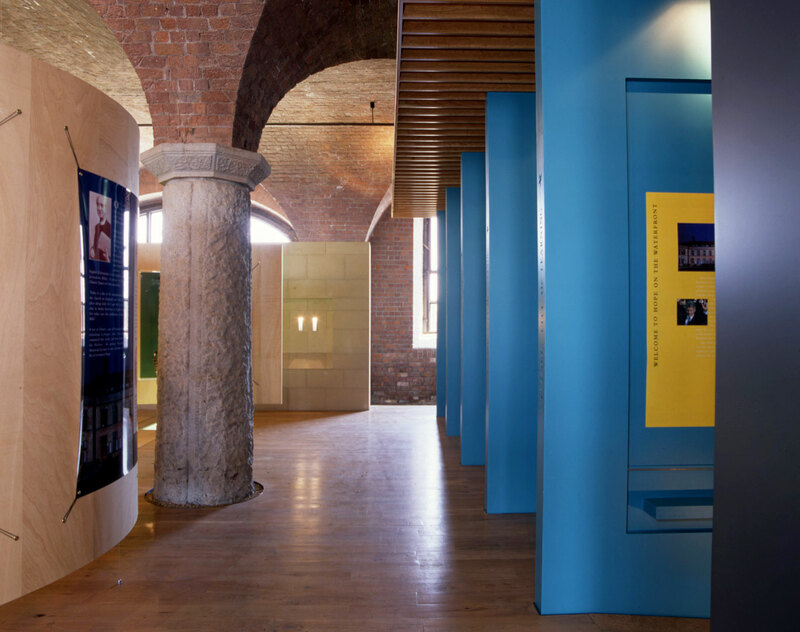 The project uses the existing double height brick vaulted space, with stone and cast iron columns, and punctuates it with a series of new free standing elements. A centrally placed core provides a café to one side, with reception to the other. This project was completed in one month.